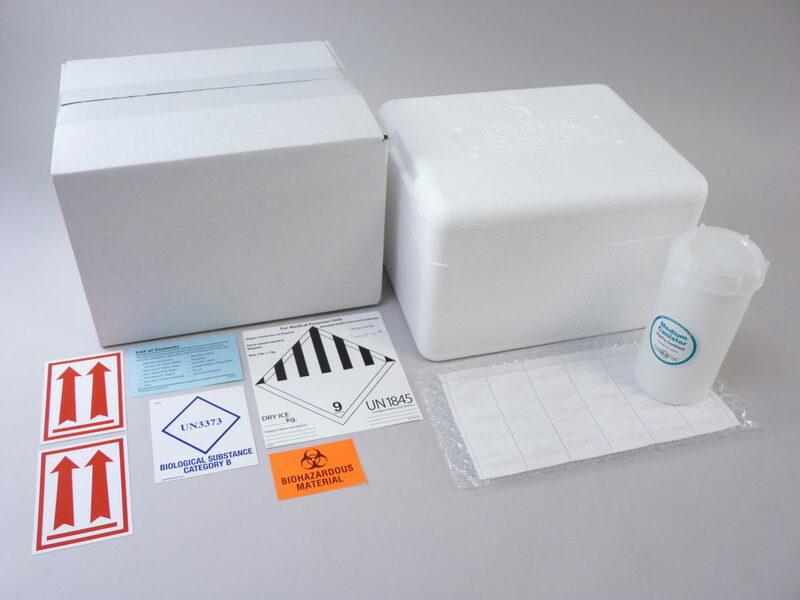 Frozen specimen shipping system includes: transport box (OD: 15 x 13 x 12"), medium cooler (ID: 12 x 10 x 9"), 2" cryogenic vial box, absorbent pad, cushioning material, list of contents card, dry ice label, and required labels for IATA PI650 marking and compliance. 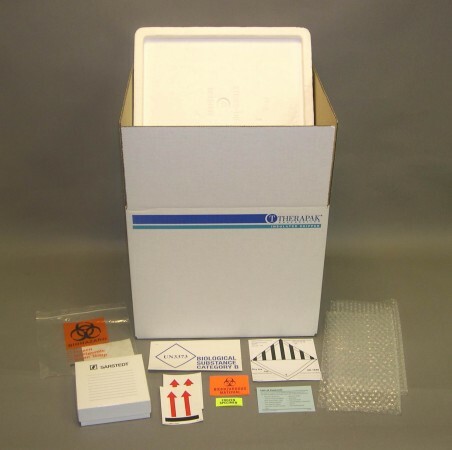 Holds up to eighty-one cryogenic vials (up to 2 mL) for overnight shipments. System requires use of 95kPa compliant cryogenic vials. Frozen specimen shipping system includes: transport box (OD: 15 x 13 x 12"), medium cooler (ID: 12 x 10 x 9"), 3" cryogenic vial box, absorbent pad, cushioning material, list of contents card, dry ice label, and required labels for IATA PI650 marking and compliance. Holds up to eighty-one cryogenic vials (up to 5 mL) for overnight shipments. System requires use of 95kPa compliant cryogenic vials. 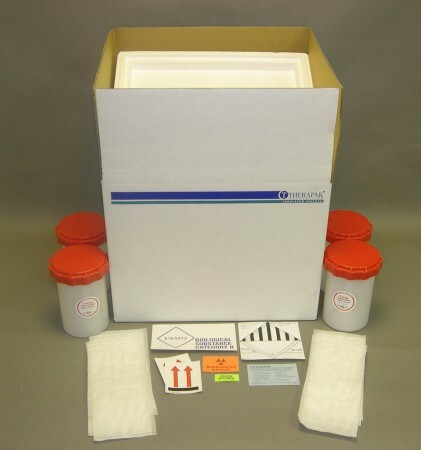 Frozen specimen shipping system includes: transport box (OD: 18 x 16 x 14"), large cooler (ID: 16 x 13 x 11"), 4 large 95kPa canisters, 12 Aqui-Pak™ segmented absorbent pouches, cushioning material, list of contents card, dry ice label, and required labels for IATA PI650 marking and compliance. Holds up to seventy-two tubes for overnight shipments. 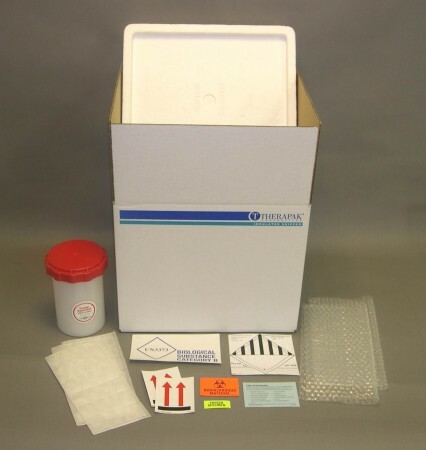 Frozen specimen shipping system includes: transport box (OD: 15 x 13 x 12"), medium cooler (ID: 12 x 10 x 9"), large 95kPa canister, three Aqui-Pak™ segmented absorbent pouches, cushioning material, list of contents card, dry ice label, and required labels for IATA PI650 marking and compliance. Holds up to eighteen tubes for overnight shipments. 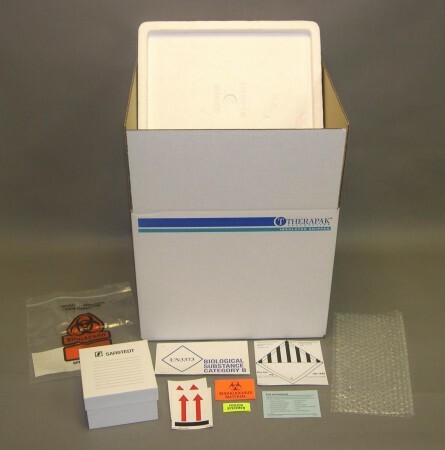 Frozen specimen shipping system includes: transport box (OD: 11 x 9 x 11"), small cooler (ID: 8 x 6 x 8"), medium 95kPa canister, Aqui-Pak™ segmented absorbent pouch, cushioning material, list of contents card, dry ice label, and required labels for IATA PI650 marking and compliance. Holds up to six tubes for overnight shipments. 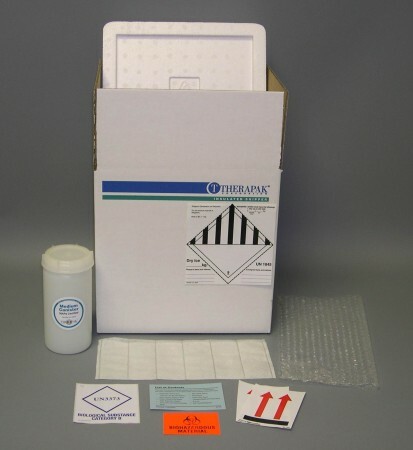 Frozen Category B Shipping System includes: transport box (OD: 11.5 x 9.5 x 8”), compact cooler (ID: 8 x 6 x 4”), 95 kPa canister, 6-bay Aqui-Pak absorbent pouch, cushioning material, list of contents card, dry ice label, and required labels for IATA PI650 marking and compliance.